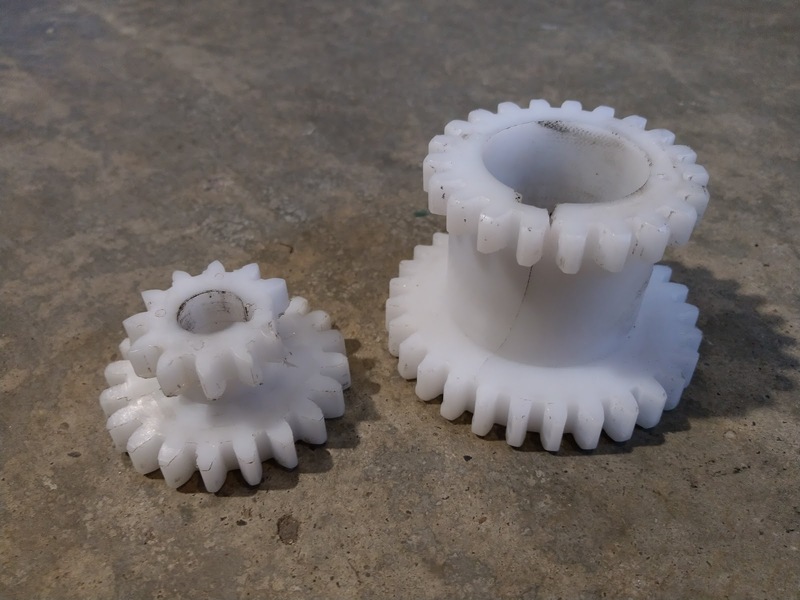 Although the Harbor Freight mini-lathe is reasonably well built, I did find the plastic gear transmission to be less than strong enough. 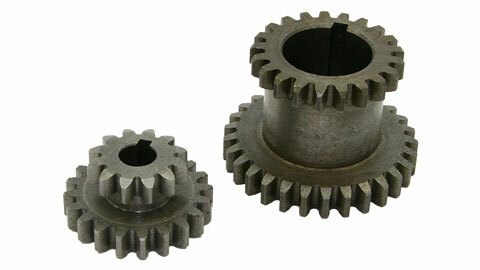 The broken gears, note the missing tooth on the small gear, and the crack running through the large gear. In any case, I decided to bite the bullet and get the metal transmission gears from Little Machine Shop. 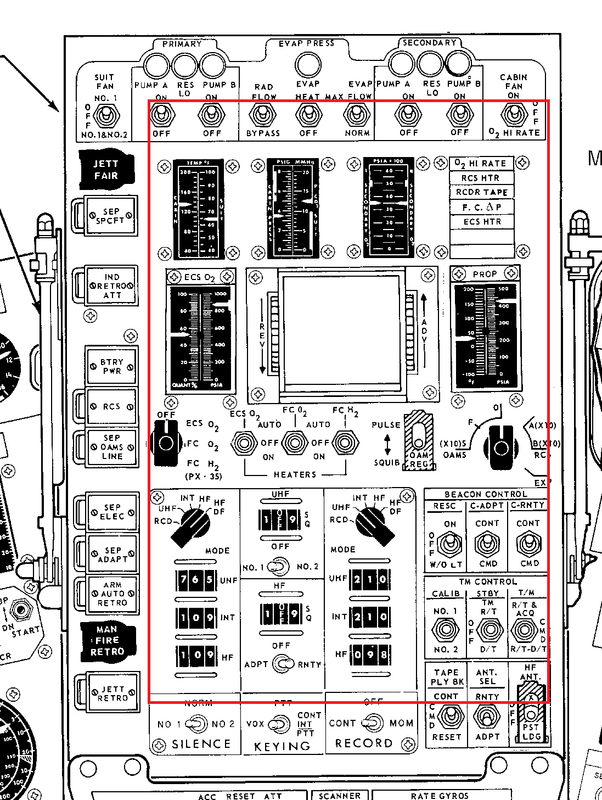 Although installing the gears does require extensive disassembly of the lathe (the motor has to be loosened from its mounts to get access to the headstock bolts, the electronics has to be removed. the chuck and spindle must also be removed, etc...) it was not difficult, only time consuming. I removed the shafts with a lead hammer to avoid marring them, and was able to not lose the Jesus clips holding them on (is there anything more satisfying than that?). I also loaded up the new metal gears and the change gears with a good grease. At some point I want to add a pair of Zerk fittings to the top of the headstock so that I can squirt in more grease whenever the mood strikes me. The new metal gear transmission is much smoother (funny how when a gear has all of its teeth it runs better...), but it is noticeably louder. I am very pleased with the upgrade. Although many people may never need to replace their gears, I am the type that gets bored too easily to avoid biting off a bigger chip than I can cut, so I know the metal gears will be well worth it in the long run. I've wanted my very own lathe for quite a long time now, but I never really had a significant specific need for one (other than just to have one), nor have I had the budget for one. Some of the projects I have been working on lately required lots of round metal parts, and having been reading a lot about different lathes, I decided it was finally time to get myself a lathe. Without the space or budget for a full size lathe, I looked at the mini-lathes available and quickly learned that essentially every single mini-lathe on the market today is essentially the same. The primary distinguishing feature between the different brands of mini-lathe is the color, not kidding. 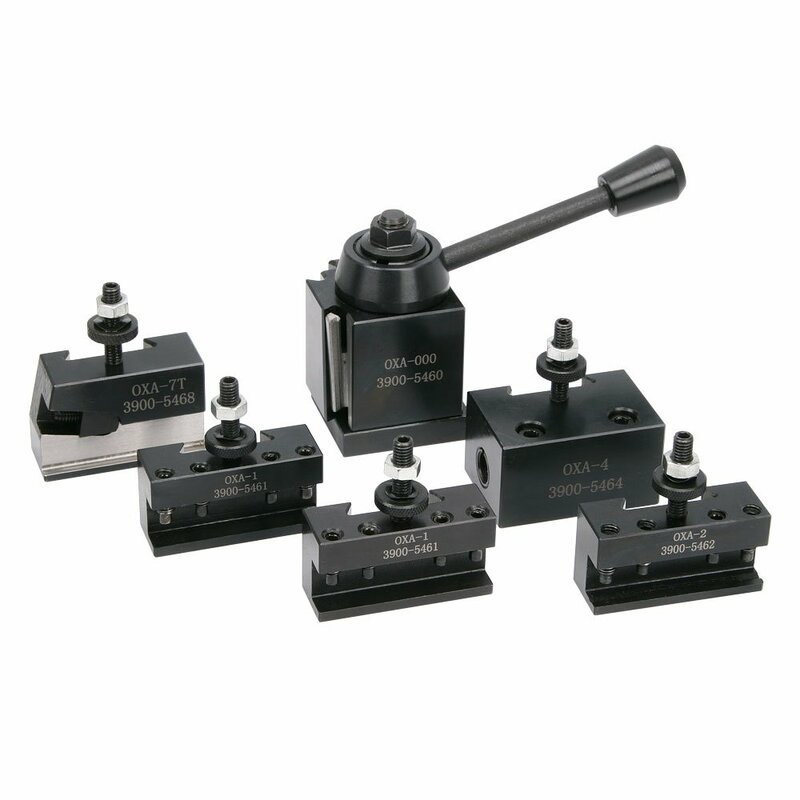 This means that there is a massive online community of support and upgrades for these lathes. 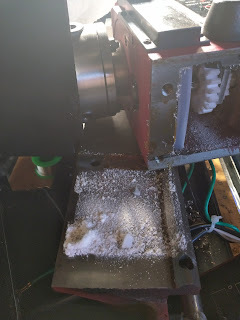 My biggest fear was that I would get the lathe, and quickly find its limits/faults and be left with an expensive tool that was a disappointment and I could do nothing with. This is not the case at all. There are hundreds, if not thousands, of videos and tutorials on how to get the most out of the lathe, and there are loads of improved and replacement parts available online. Armed with that knowledge I decided to buy one of the 7x** mini-lathes. With my limited budget I decided to go for the 7x10 lathe from Harbor Freight (don't forget your 20% off any one item coupons!) Although it is the smallest 7x** lathe, I was not concerned given the size of the work I planned on doing, and the knowledge that I could upgrade every part of the machine if I so desired, up to and including extending the bed to 7x16. Along with the lathe I purchased the HSS tool set, the indexable carbide tool set, and the MT2 drill chuck for the tailstock. On arrival, I was very pleased with the overall feeling of the machine. Unlike most of the things you get from Harbor Freight, this machine has a nice heavy feel to it. The vast majority of the machine is cast iron and as a result does not leave you with that cheapo plastic-y feeling. My biggest complaint initially was the preservative anti-rust stuff they cover the whole thing it. It is yellowish, sticky, and absolutely gross. I should have followed the other suggestions online to immediately take the entire machine apart and clean it with alcohol or some other solvent before using it, but frankly I was just too excited to try it out first. If you don't do this first, chips will get mixed into the stuff and make it impossible to vacuum them up and even harder to clean the stuff off of the machine when you finally get sick of it being everywhere. the taper. A total waste of money. I recommend getting the short taper one from Little Machine Shop. Also, do not buy the quick change tool post (QCTP) from Harbor Freight, as it is incompatible with Aluminum ones or the "button type" steel ones are not very good. Unfortunately, the one I bought from Amazon has an angled parting tool holder that raises the end of the parting tool too high. Little Machine Shop sells one that is flat and will work with the 7x** lathes. The Harbor Freight tooling has been excellent. I have no complaints about the indexable carbide or HSS tools. The machine was tuned in enough to cut aluminum with little trouble right out of the box. I started working on the first few parts I wanted to make to both test out the machine, and get working on my project. 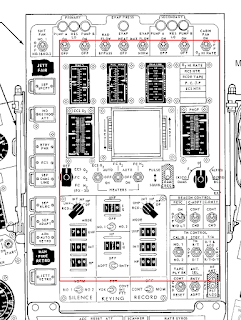 The back side of the apron is left completely open, exposing the carriage hand-wheel gear train to all of the chips that fall out of the machine. This area immediately clogged up and caused the gears to jam up and made operating the lathe a real pain. Thankfully, the included tool set has almost every tool you need to work on the machine (minus a couple small metric hex keys, and a Phillips screwdriver). Oh, yeah, that reminds me, I should mention: All of the parts on the machine are metric, but it is set up to make stuff in Imperial units. The dials are all in .001" and the change gears are for cutting inch standard threads. Metric conversions are available. So, I decided it would be best at this point to dissemble the lathe and do the full clean-up, greasing, and make a little cover for the apron. I dissasembled the entire carriage and apron so I could clean and grease all of the parts. I also found this stuff by WD-40 which claims to protect against any rusting for at least a year. I purchased it at Home Depot for $12, which is a bit expensive, but if it works, it'll be totally worth it. All you do is spray it on and wipe off the excess. Tee nice thing is that it doesn't leave an oily residue after it dries, so chips easily vacuum off. Any metal surfaces that I didn't grease got treated with that, and so far no rusting, but we'll see how it holds up in a years time. Anyhow, back to the lathe. I made the little cover for the apron out of a thin piece of polycarbonate I had lying around. 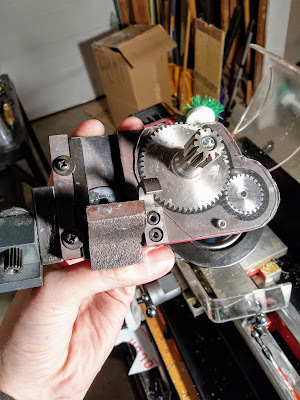 I just traced the outline of the gears onto the plastic, cut it with aviation shears, and then mounted it by drilling and tapping a hole for an M3 screw in the apron. (See photo below) The gears rub on the plastic a bit, but it works fine for me. Since installing the chip guard, I have had no problem with the gears jamming. After this I greased up the ways and reassembled the whole machine. I was able to turn 2.25 in. 6061 aluminum without making any other adjustments to the machine, and still get a decent surface finish. It was chatter-y, but I didn't feel like dealing with adjusting the gibs yet. So that was my first few days with the mini-lathe. That was back the first week of January, and I have used the machine almost every day since then. I am extremely happy with it. For a "My First" lathe I couldn't ask for more. It is low cost, a convenient size, and infinitely upgradable. It has been an excellent machine to learn on, and learn about. Overall, I am extremely pleased, but I will add that I bought the machine with the knowledge that it would have its issues, and wouldn't be perfect right out of the box. 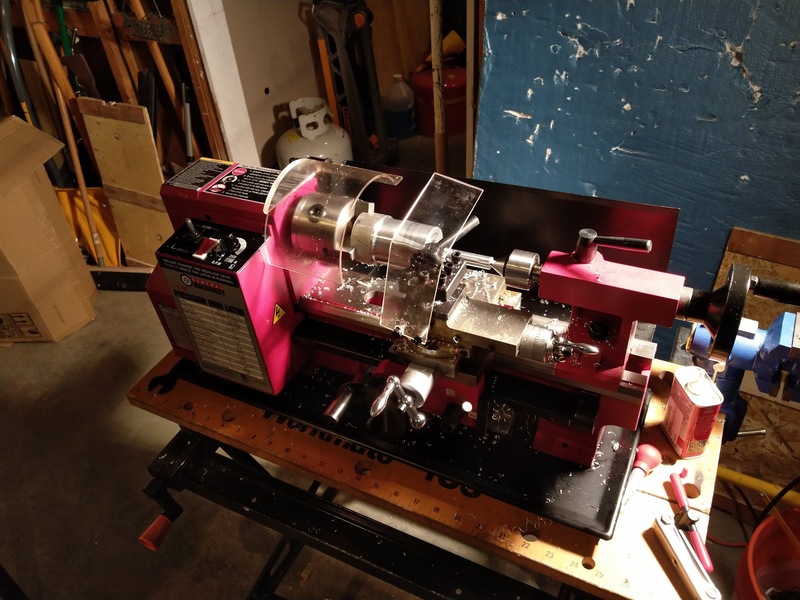 If you want a lathe that is a perfect machine right out of the box that you will never have to touch, tweak, or fix, this is not the machine for you. It will have some issues, and they will need to be fixed, but if you are accepting of this, you will not be disappointed. Since this post is already getting pretty long, I'll end it here. 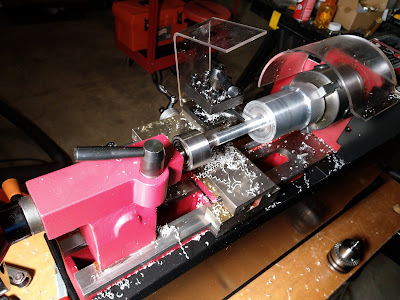 I'll be writing more posts over the next few days about the upgrades I have already done, and the problems/solutions I have had the lathe so far.